The guesthouse was previously used as a holiday house by the very family that runs it now. It offers eight standard rooms, eight luxury rooms and one family suite. The spacious rooms are fitted with crisp, white linen sheets. 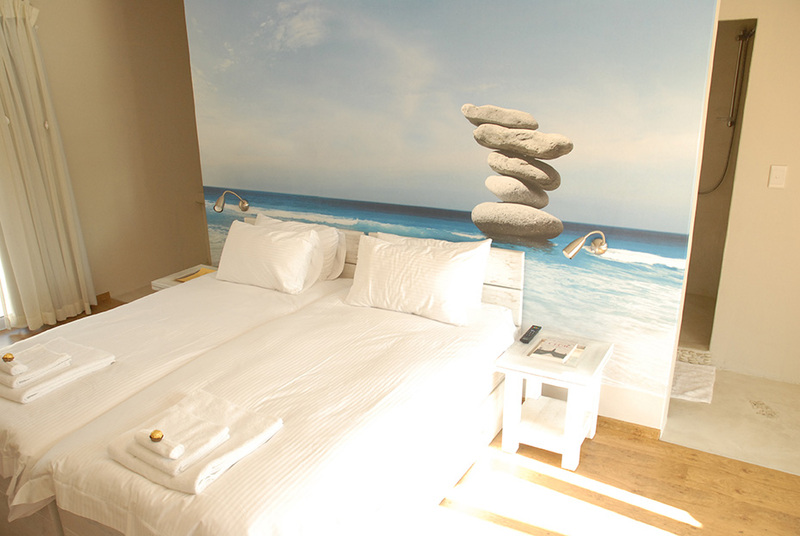 Wallpaper portraying a peaceful view of the ocean adds to the clean and neat atmosphere of the guesthouse. 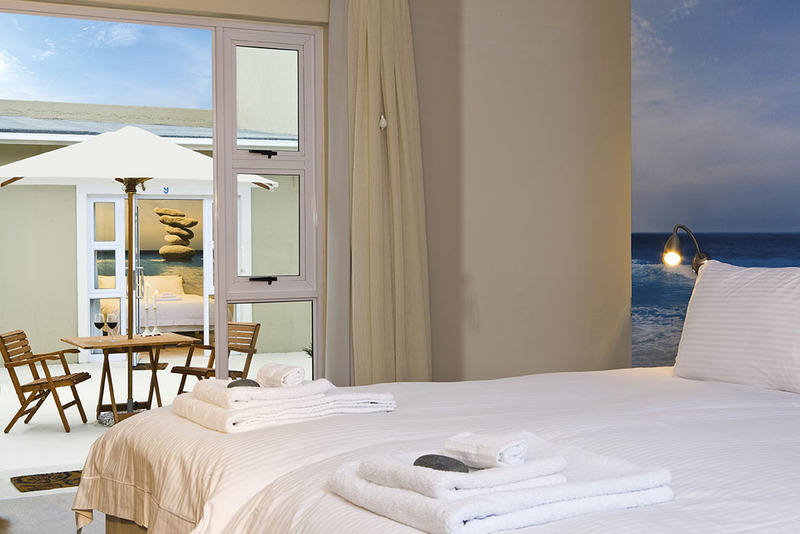 The en-suite bathrooms with soft cream walls are decorated with beach pebbles that give them a unique atmosphere. All rooms come complete with minibar and television. Fully renovated in 2018/2019. 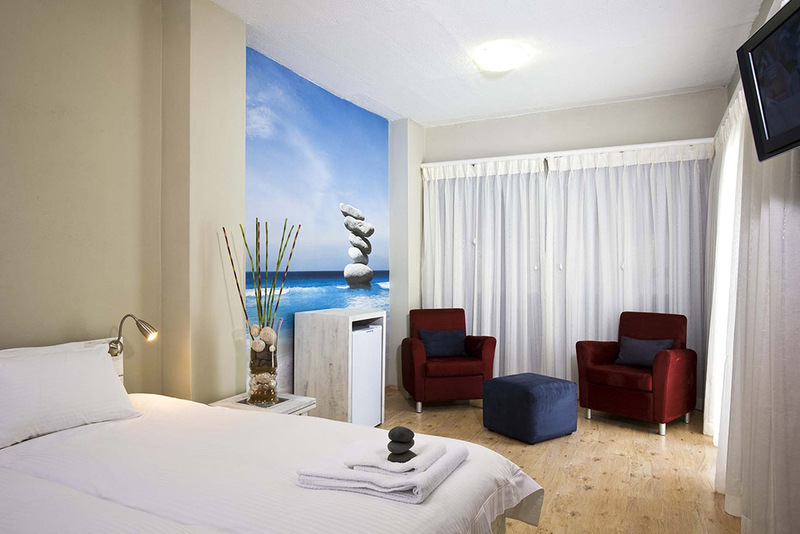 All standard rooms have en-suite bathrooms with soft cream walls are decorated with beach pebbles that give them a unique atmosphere. All rooms come complete with minibar and television. Our luxury rooms are more spacious then the standard rooms, allowing more comfort for our guests. Most of our luxury rooms can be converted into family rooms, sleeping 2 adults and 2 children under the age of 12 years. Our Suite offers 2 bedrooms, a living space with a small kitchenette, one bathroom and separate toilette.